The SARP team will dedicate itself to developing a student-designed and manufactured reusable rocket and scientific payload. 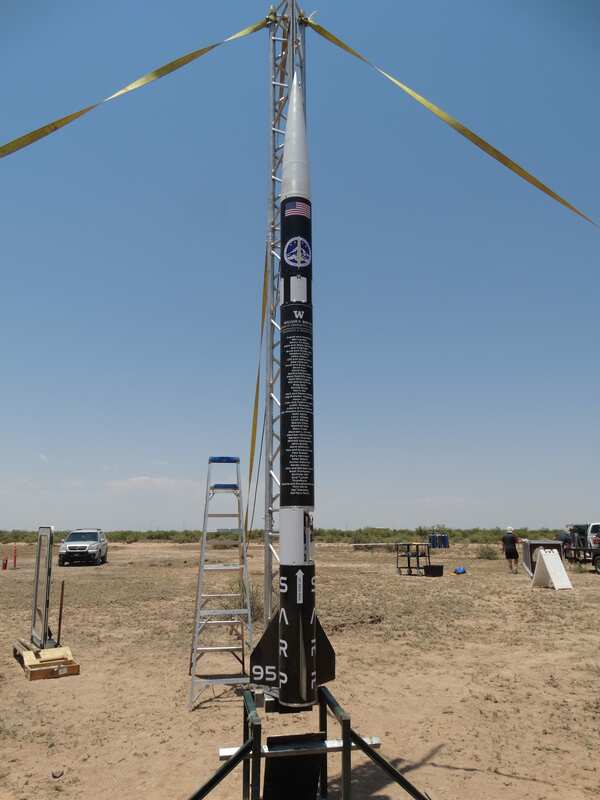 The SARP team will compete in the AGL 30,000 feet apogee category with a hybrid rocket. Leading up to these events, the team leaders and advisors will commit themselves to facilitate team member growth in areas of engineering and leadership. The team members will gain valuable skills in engineering design, systems engineering, manufacturing, testing, and documentation. Click on the rocket to learn about its components! Objective: Safely return the rocket to the ground after reaching apogee. Requires repeated tests until there are no uncertainties in the system's performance. Objective: Design, build, and test a robust and efficient structure for the rocket while developing the structural analysis and manufacturing skills of its members. All parts will be designed with integration of neighboring parts in mind so that final assembly is reliable and simple. To ensure robustness and efficiency, the structure will optimize aerodynamic drag and structural weight while providing sufficient strength to all parts of the rocket. Determination of strength will be justified by thorough and well documented quantitative analysis of loads and stresses. In addition, the structure will remain dynamically stable in all flight regimes until recovery is initiated. Objective: Safely produce an improved hybrid-rocket motor over previous years, and integrate it into the launch vehicle prior to full-scale flight test. Maintain accurate documentation of the design, analysis, and testing that occurs. Advance the understanding of hybrid rocket motor performance.